You save me and I’ll save you. Victoria Noble has pulled the plug on romance. As director of the number one social networking site, EweSpeak, and single mother to four-year-old Seth, she wrestles with the work-life balance. Enter Chris Frampton, Hollywood action hero and Victoria’s first love. His return from LA has sparked a powder keg of media attention, and with secrets threatening to fuel the fire, he’s desperate to escape. But finding a way forward is never simple. Although his connection with Victoria has lasted the test of time, has he been adrift too long to know how to move on? with the risk of them breaking, will either follow their heart? 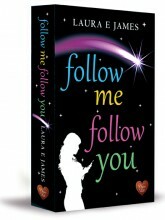 This book is all about relationships, love and families. It digs deep into the minds and hearts of all the characters in this book. The sub-plots that are brilliantly woven into this story are brilliantly written and I found them very moving. The idea of EweSpeak and the Bleats had me in stitches, what a fantastic idea. Very interesting story one i would definitely recommend. Elle Jamieson is a private person, in relationships as well as work – and for good reason. But then she’s made redundant and with no ties to hold her, Elle heads off to sunny Malta. Lucas Rose hates secrets – he prides himself on his ability to lay his cards on the table and he expects nothing less in return. He’s furious when his summer working as a divemaster is interrupted by the arrival of Elle, his ex, all thanks to his Uncle Simon’s misguided attempts at matchmaking. Forced to live in close proximity, it’s hard to ignore what they had shared before Lucas’s wedding proposal scared Elle away. But then a phone call from England allows Lucas a rare glimpse of the true Elle. Can he deal with Elle’s closely guarded when it finally comes to light? Firstly, I have to say I absolutely loved the cover of this book, it definitely caught my eye and I couldn’t wait to start reading. I have read a couple of Sue’s books before but will for sure be purchasing more of her books. This book is set in the idyllic harbour of Malta. It made me dream of being there. This story is about Elle and Lucas, they have been apart fro a very long time and are thrown back together of all places on a yacht. As you can imagine there is tension and a bit of love. Elle grabbed my attention from the first chapter and I couldn’t put this book down, this story is so well written with twists and turns throughout. Loved it so much. Is is morally wrong to have a blow-dry when one of your children has head lice? Is sleeping with someone after 2 dates and 6 weeks of texting the same as getting married after 2 meetings and 6 months of letter writing in Jane Austen’s day? Pondering these, and other modern dilemma’s, Bridget Jones stumbles through the challenges of single-motherhood, tweeting, texting and rediscovering her sexuality in what SOME people rudely and outdatedly call ‘middle age’. I thoroughly recommend reading the first two books if you haven’t already. This book I don’t feel was as good as the last two. 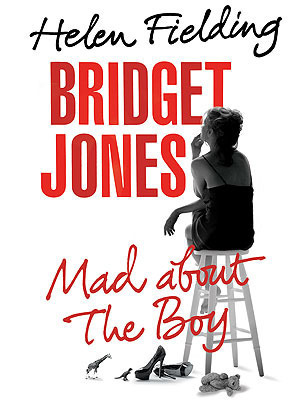 Although it was a nice, easy read and everyone loves Bridget, the story for me just didn’t work. The anecdotes about modern family life were quite funny. A perfect beach read. First comes marriage. Then comes divorce. Then it’s every woman for herself…. When Charlie’s husband Matt tells her that he wants a divorce she has to start from scratch. 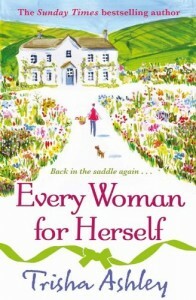 Suddenly single, broke and approaching 40, she is forced to return to her childhood home on the Yorkshire moors. Living with her father and eccentric siblings could be considered a challenge, but Charlie finds her new life somewhat refreshing. Now she’s single she can return to her first love – painting. But just as she begins to feel settled, handsome, bad-tempered actor Mace North moves to the village and starts mixing things up for Charlie in more ways than one…. I have read all of Trisha Ashley’s book so far and really enjoyed them.This story is about finding love where you least expect it. Trisha Ashley is a brilliant author and this book was really funny. When I started it I wasn’t sure if it would hold my interest, but after the first chapter I knew I would like it. The characters all interlinked with one another but had their own agenda.I would say not her best book but I enjoyed it. From reluctant bridesmaid, to accidental mother…. Tamsyn Thorne has not been back to her home town of Poldore for five long years. But now her brother Ruan, is about to get married and she has no excuses left. Her plans to arrive in Cornwall looking chic and successful are dashed when a huge storm turns her from fashion goddess to drowned rat. Worse, she ends up insulting the local hunky vicar – and then finds a tiny baby abandoned in his churchyard…. I love Scarlett Bailey books, she is a fantastic writer and always brings her stories to life. If you haven’t read ‘Just for Christmas’ I would recommend it as this book carries on from it. It will make sense but you will enjoy it more to know the characters. I really got in to this book and didn’t want it to end. The mystery over who the babies mother was fantastic, I couldn’t work it out. Will be adding more of Scarlett’s books to my TBR list. If your friend challenged you, would you dare? Charlie Blundell cannot get over the tragic death of her only daughter. She drifts between her job at the Art cafe and her hospital radio show, the only things that give her life purpose. Her best friend, the madcap Mercedes, cajoles Charlie into writing a ‘carpe diem’ list, but then swaps Charlie’s list with her own. Now, each must complete the other’s challenges, and the outcomes will astound both of them. The challenges begin as a series as relatively harmless, fun activities. Soon, though, the stakes increase when Charlie has to complete her challenges to save the hospital radio station. As the tasks become more demanding, a handsome stranger takes an interest in her, but he is not what he seems. One challenge causes a secret buried deep within her to surface, which may prove to her undoing. Three Little Birds is a story of love, friendship and discovery, laced with hilarity and topped by a wickedly funny parrot called Bert. First of I must say I loved the cover of this book, its really quirky and I couldn’t wait to start reading it. The story revolves around two friends that have a list of challenges that they have to do, but they get more difficult as they go on. I found it a very satisfying story with a lot of different characters that the two friends meet along the way. It is one of those books that you curl up with. It made me question what challenges I would do. Will be purchasing more of Carol’s books. Attorney Landon Kingsley never fails to meet expectations or fulfill responsibilities, living a well-ordered life in his hometown of Kingsport, Tennessee. Recently engaged to the beautiful nursing student, April May, Landon’s new fiancee is everything he could want in a wife. She is devoted to her faith and family and truly loves him. April’s cousin Ella Casey, has returned to Kingsport after ten years of pursuing stardom as a country music singer in Nashville. Ella’s failed career and affair with a married music producer scandalizes her in the eyes of the town, but her legal troubles drive her to Landon to help. Landon finds himself increasingly attracted to Ella and more discontent than ever with the path he has chosen for his life. Amid a firestorm of family and town gossip, Landon is tormented by his past and the complicated decision of whether to listen to God’s voice or follow his own desires. A retelling of Edith’s Wharton’s classic novel The Age Of Innocence, Songs from The Ashes explores the struggle with contentment in marriage and the dilemma between striving for personal happiness versus acceptance of God’s perfect plan. This was a story that I found really engrossing. I think many people can relate to the Landon and April storyline, whether he should stay with his wife or leave her for her cousin, I think it is an issue that Megan has researched well. Megan also covers the heart-wrenching part in the book when they have a baby who has a genetic condition called Trisomy 18, I had never heard of this condition before reading this book and really want people to read it and become aware of it and try to understand it. This part of the story was heart breaking and I couldn’t keep a dry eye but it has made me realise that we shouldn’t take life for granted as we don’t know how much longer we have left.